This is a free guide for the book and film targeted at grades 9-12, to help users look critically at the idea of how our economic system’s push for continual growth impacts both the environment and quality of life for all people. To purchase the full DVD for classroom watching, visit our educational distributor Ro*Co here. If you have any questions about the study guide materials or access to them, please email us at contact@thischangeseverything.org. Identify the fossil fuels needed to power a T-shirt’s production process from seed to shirt, including transportation to factories overseas. Discuss what incentives direct people and businesses in their economic decisions in a free market. Examine the global economy’s current dependence on fossil fuels and the threats this poses for people and the environment. Recognize that there are different and often opposing views about the causes of and solutions to global warming. Explain how people in Germany worked to bring about their country’s rapid transition to renewable sources of electricity. Explore personal ideas about globalization, climate change, and how our world will be in the future. Analyze a quotation that describes the conflict between the finite resources of the planet and the current push for growth. Break down a case study that illustrates the relationships among people, the environment, and economic growth. Work with a partner to develop a solution to the conflict presented in the case study. Compare responses to the 1989 Exxon Valdez oil spill and the pollution caused by the oil industry in Nigeria. Discuss how the economic growth of wealthy countries has impacted both poorer countries and the environment. Define the term, “climate debt” based on textual information. Analyze a proposed plan for wealthy countries to pay Ecuador not to sell its oil. Write arguments to explain their position on the strategy of having wealthy countries compensate poorer countries for not exploiting their oil reserves. Lesson 4: What Is Our Relationship with the Earth? Write definitions of the concepts of “extractivism” and “regeneration” based on textual information. Determine how extractivism and regeneration differ in the ways that each places value on people and the planet’s resources. Discuss whether it is possible to have economic growth that values both people and the environment. Create posters that visually capture the idea of extractivism or regeneration, using stories from their study for inspiration. Examine a case study in which an entrepreneur creates a decentralized renewable energy company to provide both economic and environmental benefits to the community. Identify non-economic factors that can influence economic decision making. Analyze strategies for reinventing the economy based on impact, benefits, fairness and potential barriers. Create two-minute videos that could be used to educate the public about these strategies to reinvent the economy. Lesson 6: How Do People Change the World? Describe the impact of citizens who have taken action to address various problems in society. Identify strategies used by citizens in a case study to come together, communicate their concerns, and work towards their goals. Consider local issues that may require action by members of the community. Evaluate the power of government, corporations, and citizens in shaping how society looks and runs. Explain how a crisis can be a moment of change, and that our response to crisis can lead to something better or worse. Analyze the recovery effort of the town of Greensburg, Kansas following its destruction by a super tornado in 2007. Create specific plans for how they would reimagine and rebuild a model “green school” if a crisis like a natural disaster destroyed your school. Lesson 8: Is Geoengineering the Answer to Global Warming? Describe a number of proposed geoengineering strategies that show how technology could potentially be used to manipulate the climate and curb global warming. Analyze the pros and cons of spraying chemicals into the stratosphere in an effort to decrease the temperature of the planet. 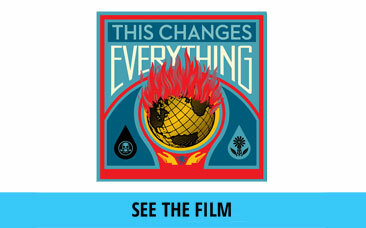 Discuss the ethical and political challenges of trying to manipulate the climate. Develop a series of Tweets that provide concise summaries of their views about geoengineering as a solution to global warming. Rethinking Schools publishes a seasonal magazine, books, and other materials that feature participatory, experiential learning experiences and articles about critical teaching and issues beyond the classroom. Their publication, People’s Curriculum for the Earth (2014) provides a collection of articles, role plays, simulations, stories, poems, and graphics for teaching about climate change, and is available for purchase here. Also, the book, Rethinking Globalization (2002) raises critical issues about the impact of globalization on our planet and those who live here. It can be purchased here. This organization provides sustainability curricula for purchase for all grade levels. This organization seeks to help society focus on people, not things, and features a free high school curriculum, “Buy, Use, Toss?” with ten lesson plans that provide a closer look at the things we buy. This organization seeks to share best practices in sustainability and environmental education. Their site groups a number of resources for primary and secondary schools by topic. This curriculum from the Canadian Centre for Policy Alternatives’ Climate Justice Project features eight free modules designed for grades 8-12 that address climate change and rising inequality. This organization provides free, downloadable lessons and articles the support the teaching of history in middle and high school classrooms. Its goal is to introduce students to a more accurate, complex, and engaging understanding of United States history than is found in traditional textbooks and curricula. Students play and analyze a game to explore coal mining and its consequences. This role play has students create a list of demands to present at a climate change meeting. This mixer has students solving the mystery of three data figures about global warming. This activity introduces students to climate change through the story of the island nation of Kiribati. In this role play, students take on the characters of key stakeholders in an imaginary public hearing about whether or not to approve the Keystone XL pipeline. Howard Zinn Known for its lively, clear prose as well as its scholarly research, A People’s History is the only volume to tell America’s story from the point of view of—and in the words of—America’s women, factory workers, African-Americans, Native Americans, the working poor, and immigrant laborers. This book teaches the basics of economics and provides an accessible critique of the wasteful practices of the financial industry. The website includes excerpts from the book, free curricula, an online glossary, and details on how to buy the book. This site provides curated and original news on a variety of environmental issues. This document by Fuel Poverty Action details consumer energy rights that support the idea of bringing energy under democratic, public control, where people can make sure it is both affordable and sustainable for all of us and future generations. This resource from Skeptical Science provides “what science says” responses to more than 150 arguments against global warming and climate change. This site also provides a downloadable “Scientific Guide to Global Warming Skepticism” (http://www.skepticalscience.com/The-Scientific-Guide-to-Global-Warming- Skepticism.html). This documentary featuring Robert Reich examines the problem of widening income inequality. The Web site provides downloadable graphics from the film, curricula, and more. 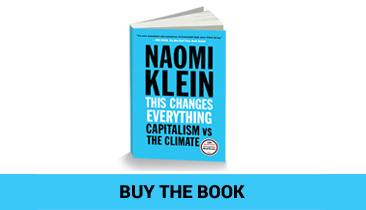 Naomi Klein’s book, The Shock Doctrine tells the story of how American policies have exploited disaster-shocked people and countries. Site resources include documents cited in the book, background on economic theories, and more. A video (length: 3:08) showing Bill McKibben as he describes the three numbers to watch in the climate crisis.